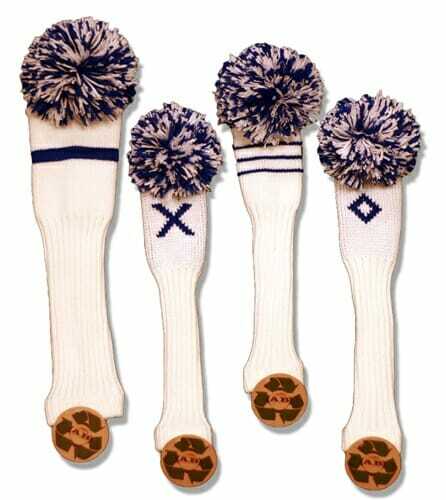 These great Throwback Designs are available in single headcovers or sets. Click “Drop down box” to select Driver, Fairway, Utility, Hybrid/Putter or sets of 3 or 4. 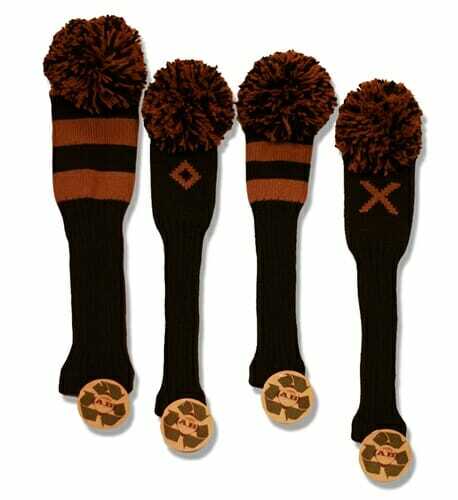 In January 2010 AB Golf Designs premiered its new Throwback collection of Eco-friendly, traditionally-styled head covers. 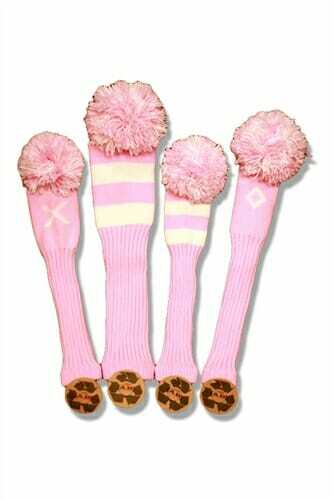 Crafted from “green” materials more durable than wool, the classic striped knit stockings with pom-pom or tassel top are available in a variety of color combinations and sizes for woods, hybrids and putters. Although the fabric looks and feels like wool, the Throwback collection is made from polyester fibers crafted from recycled plastic bottles. This manufacturing process helps to diminish dependence on oil and minimize waste, in turn limiting toxic emissions from incinerators. Additionally, it reduces air, water and soil contamination.